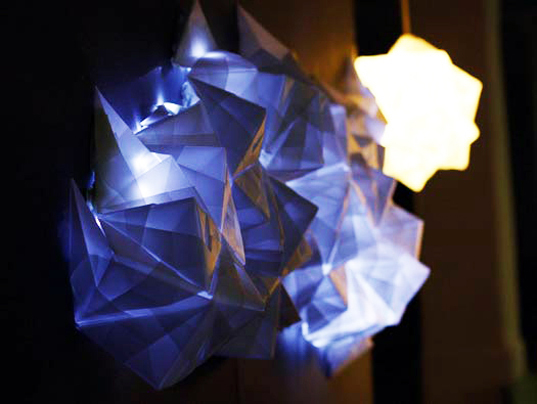 These enchanting origami cards by Tomomi Sayuda come as kits complete with folding instructions and an illuminating LED. The series is called 12 Folds because each one requires 12 folds to transform it into a beautiful luminous orb. There are approximately 100 cards, and each one has its own unique pattern.